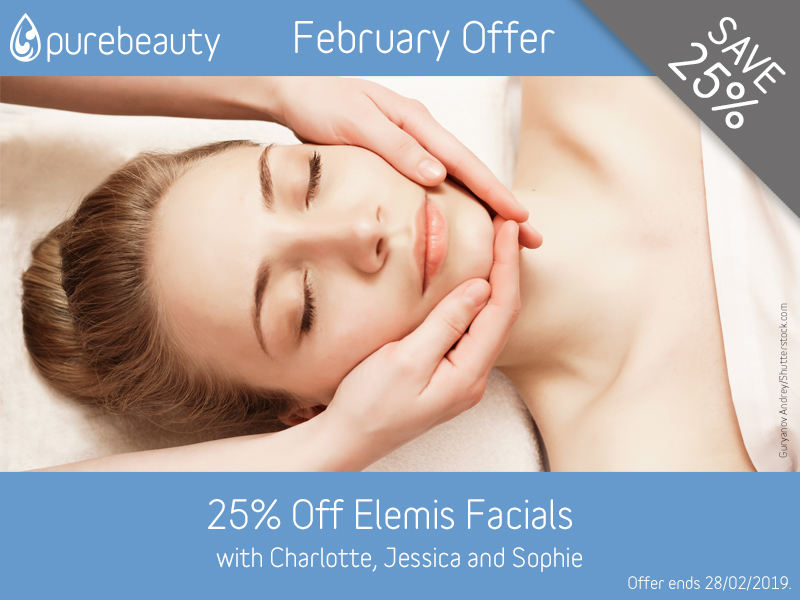 This month we have offers on Elemis Facials, Decleor Aroma Massage, HD BRows, LVL Lashes, Manicures and Pedicures, LCN Nails, Hot Waxing and Reflexology! We hope you're all well. I just can't believe its February already. 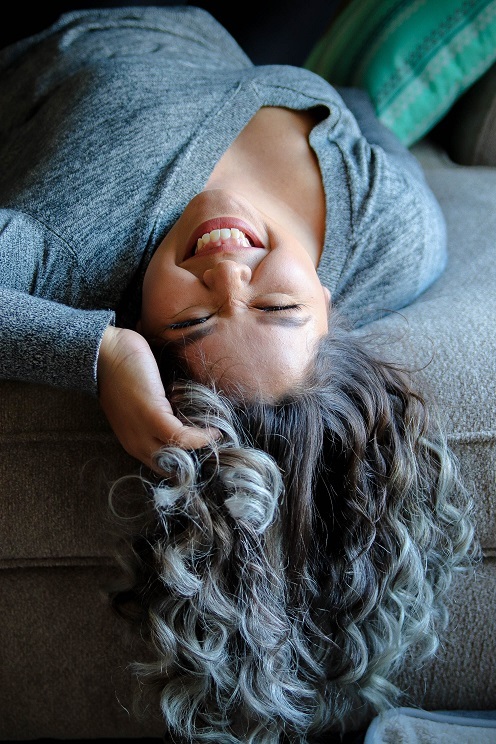 What's going on the Salon this month? We have had a fresh new paint in our waiting area and we have a lovely new photo of our Therapists on our wall so please do take a look next time your in the Salon. We have also put a little profile of each of our Therapists on our website so please do take a look. We are so proud of our team and how they have grown in the last year and it's amazing seeing our clients leaving feeling amazing. We love hearing from you to enable us to continue to grow. Our Feedback Forms can be found in the waiting area and can be taken home and simplty popped in the post. 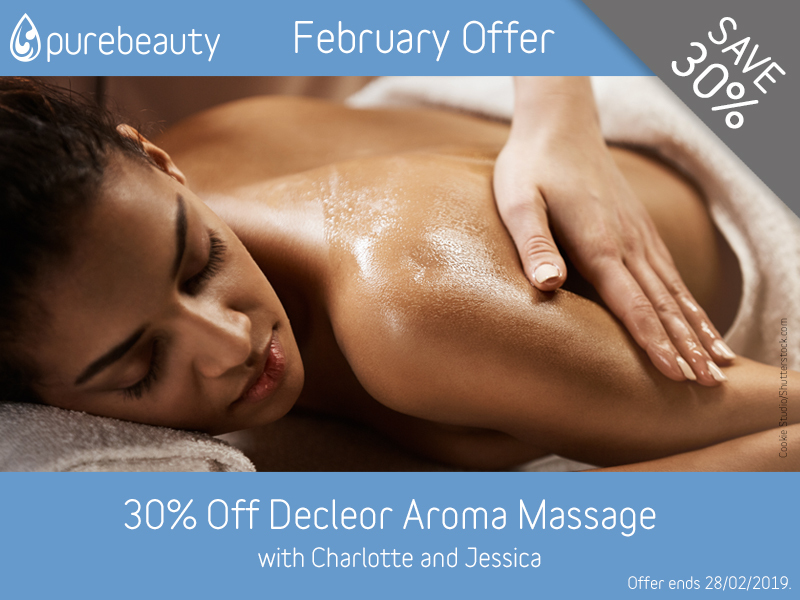 We have done a lot of training last month with Charlotte, Jessica and Sophie visiting Dermalogica and Decleor for a refresher. 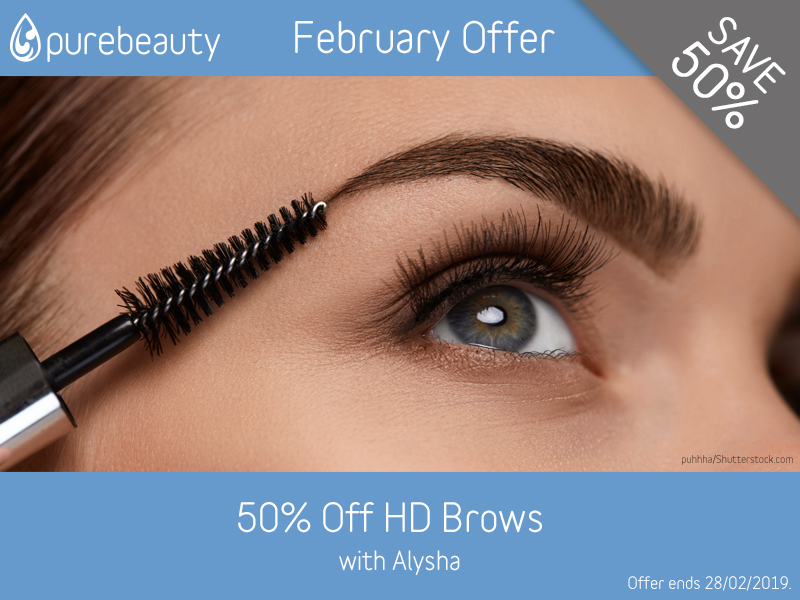 Alysha is now qualified in HD Brows and has an amazing offer on them this month - 50% Off - so book as soon as possible. 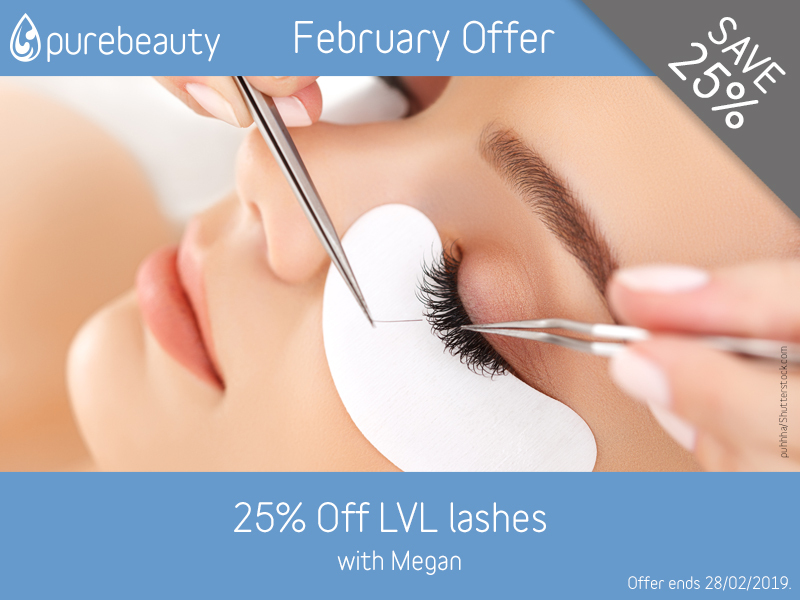 Don't forget - a patch test will be required too. 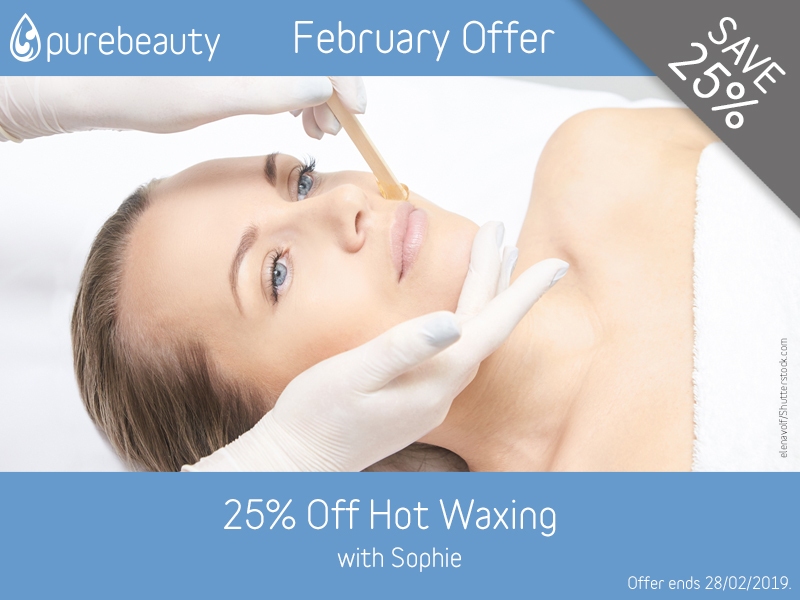 Our New Treatment is now out and they will be available to pick up in the Salon soon, otherwise our webiste has been fully updated. 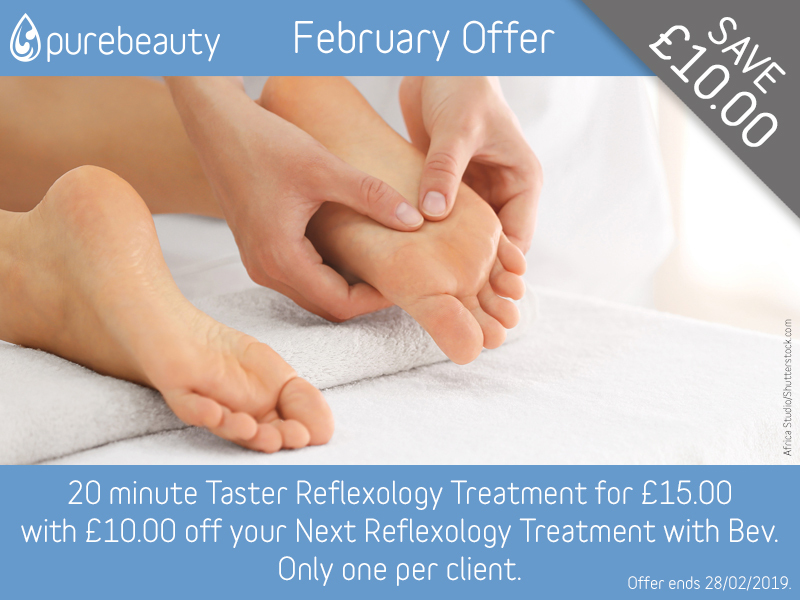 20 minute Taster Reflexology Treatment for £15.00 with £10.00 Off your Next Reflexology Treatment with Bev (One per client or book reflexology and receive £5.00 off one per client. We hope you like the new layout of Reception: please don't forget to take a look at our Product Focus and New Products display. 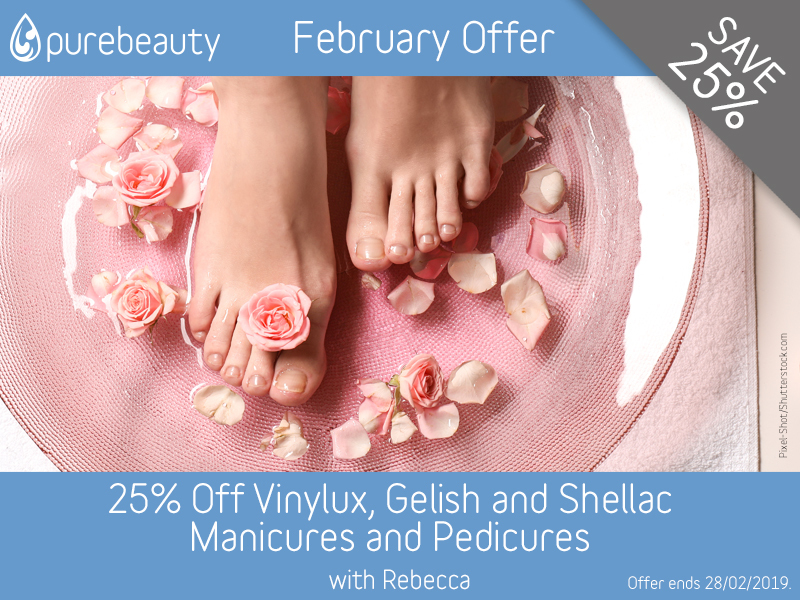 We are taking advance bookings so we highly recommend that you book holiday treatments or events treatments especially if you are a Bride to be. Talking of events Valentine's day is coming up are you ready? How are your nails looking? If you're not into Flowers, why not ask for a Pure Beauty Gift Voucher available from Reception. We can even post it out for you. Please do keep your eyes on our Facebook and Instagram pages for latest Appointment Availability, Special Offers and updates. 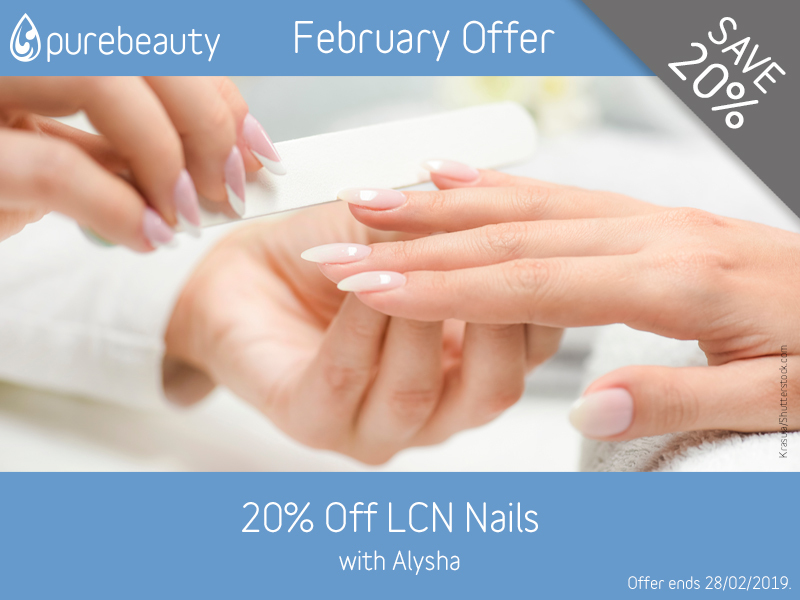 We all look forward to seeing you very soon in the Salon. It seems crazy that 2019 is marching on so quickly, and that we're already seeing new trends emerging. We've got some predictions of what's going to be huge in the world of beauty this year and we thought we'd share five that we think you should try. When the temperature drops and the nights are dark, it is easy to spend your time curled up on the sofa eating sugary snacks and keeping warm, rather than eating salads, heading outside and getting active like we do in the summer. Bearing this in mind, it's therefore not uncommon to put on a little weight during the winter months, but this doesn't have to be the case. By making small changes to your lifestyle now, you will not only help your waistline, but your mental health and overall wellbeing could benefit too. At Pure Beauty we don't send unwanted emails. If you have received this email in error then please accept our apologies, send us a quick reply and we will ensure we remove you from our mailing list.